THIS IS IT! 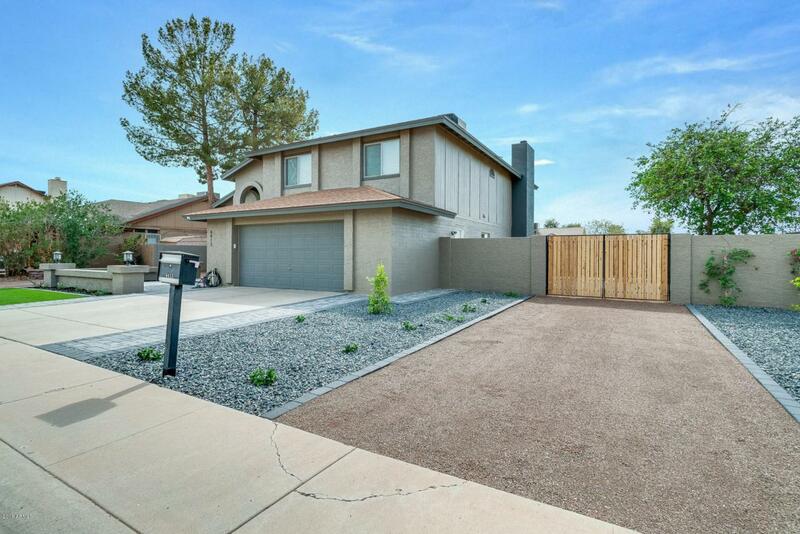 Your dream home awaits you on a large corner lot in this pleasant Glendale neighborhood. 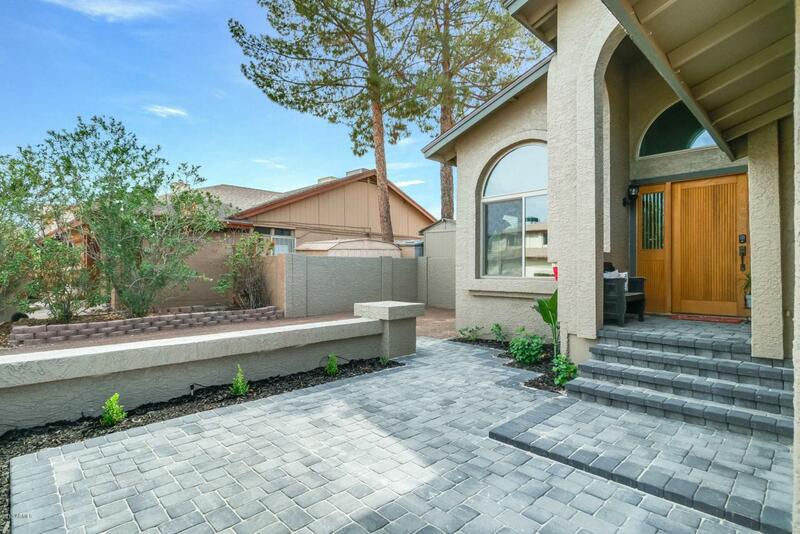 With lush new landscape, an appealing courtyard with paver entry, this place is perfectly polished! 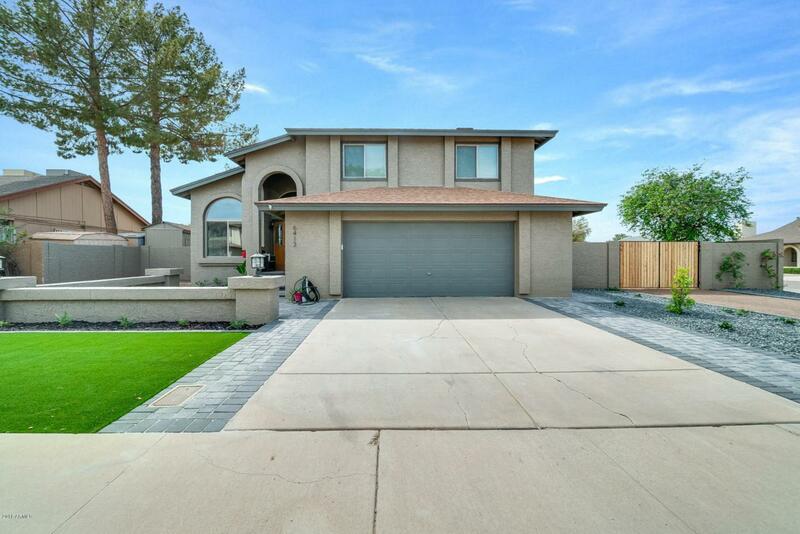 Walk inside the updated 4 bedroom, 3 bathroom, to find wood tile plank flooring in the living room, and few steps down into the sunken formal dining room followed by the gorgeous remodeled kitchen. Crisp white cabinets, quartz counter-tops, slate appliances and large window overlooking the beautiful green grass out back. Saltillo tile throughout the lower level of the home, plus a fireplace in the family room, a guest room and full bath downstairs! The upper level presents two generously sized secondary bedrooms, and a large master suite that's fully tiled. The en-suite is REMODELED...and tastefully done with his and her vanities, plus a beautiful, eye-catching corner shower and retro over-sized soaking tub! 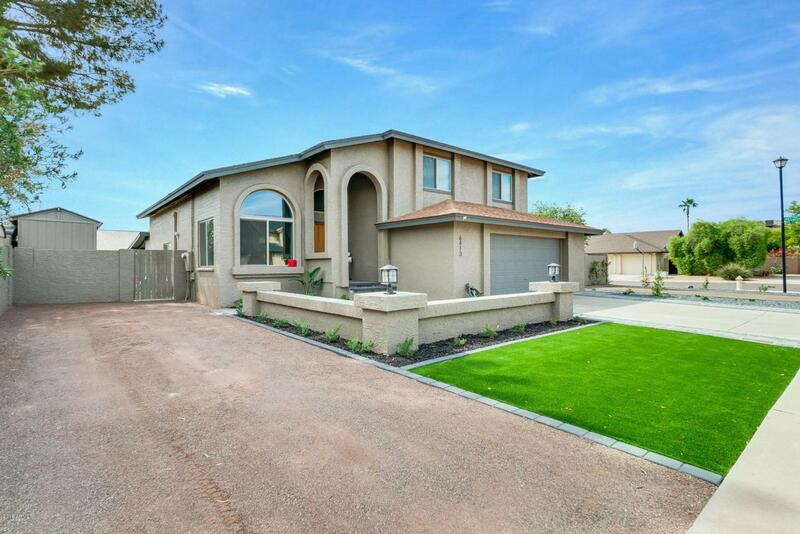 Enjoy the backyard with all of the surrounding color from the green grass areas, to the sparking blue diving pool. There's even an extended covered patio to host your family and friends, plus RV GATE and RV PARKING! Schedule a private showing today! !